STEPSol develops hydraulic batteries coupled with small solar installations to provide nonstop renewable and decarbonized electricity in rural territories and isolated zones. Our solution combines the simplicity and rusticity of pumped hydro storage system with an optimized water and solar management. 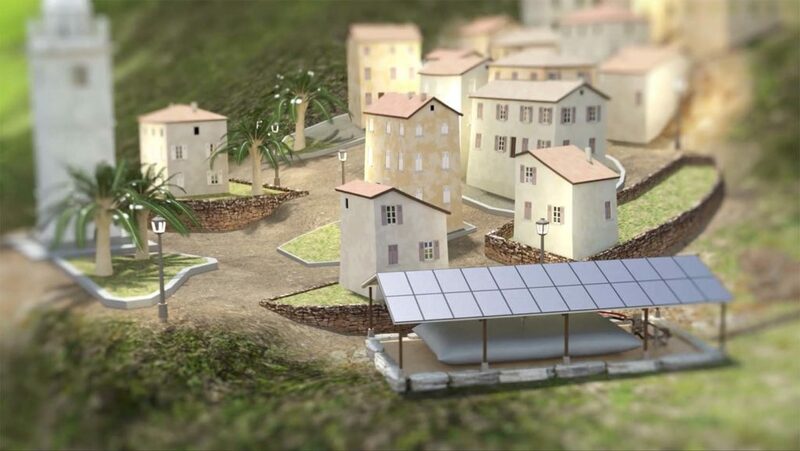 During the day, solar panels power a village. Surplus electricity allows to operate a pump that will raise water from a low tank to a surface tank of the same size. Whenever the photovoltaic production is insufficient to meet the needs of the consumer or the network operator (night time, bad weather …), the water comes down and drives turbines which will then produce electricity. Water acts as an hydraulic battery : thanks to it, solar production becomes completely mastered and flexible. The Energy Transition at inhabitants’ services.